A large number of children who develop epilepsy under the age of twelve months unfortunately do not get a clear diagnosis. There is also lack of information about the best treatments to use in this age group. 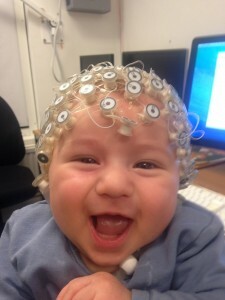 The aim of the EPIPEG study is to determine the causes of epilepsy within this group of very young children (including new causes) and ultimately to get more information on which treatments work best for the different types of epilepsy in this age group. To achieve this, we review children at diagnosis and follow them over a period of time. We also establish a centralised registry to be used by local paediatricians, who record and map management of children from point of diagnosis. This will encompass information on clinical, neurodevelopmental and behavioural assessments, as well as EEG, MRI and other investigations. EPIPEG will provide more comprehensive information, and lead to improved understanding and outcomes for children with epilepsy in relation to their overall health and neurodevelopment, thus improving their quality of life and life opportunities.